Financially troubled ship design and shipbuilding company Shanghai Bestway Marine & Energy Technology has announced that Shanghai Marine Equipment Research Institute (SMERI), a unit of China Shipbuilding Industry Corporation (CSIC), has applied with a court in Shanghai to restructure the company. SEMRI filed the lawsuit as it claimed Shanghai Bestway has been unable to repay RMB3.87m ($576,000) of debt. Shanghai Bestway is now in deep financial trouble with lawsuits against the company stacking up. In Janaury, Guotai Junan Securities sued Shanghai Bestway and its controlling shareholder Liu Nan due to a RMB145.4m ($21.55m) loan dispute. 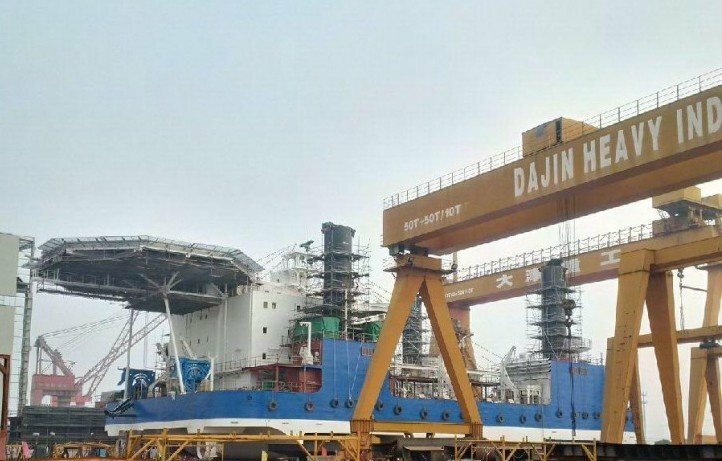 The company reported last October that its subsidiary yard Dajin Heavy Industry was faciling multiple risks in several major shipbuilding contracts, which would potential hurt the company financially. According to VesselsValue, Dajin Heavy’s orderbook current includes two 4,500dwt tankers, four 8,000 dwt tankers and one liftboat. Shanghai Bestway said the restructuring application might lead to the bankruptcy of the company and the delisting of its shares on Shenzhen Stock Exchange.